What comes to mind when you think of the 80’s? I immediately visualize loud colors, big hair, jumpsuits, and geometric shaped…everything. Music was much more feel good and light heartened than the social activism-inspired songs of the 60’s and 70’s and the bleeding-heart grunge inspired sounds of the 90’s. 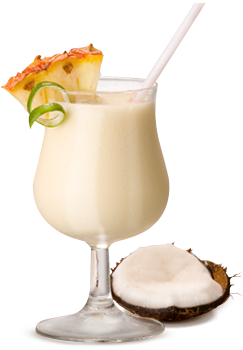 The song “Escape (The Piña Colada Song)” by Rupert Holmes is a direct reflection of the tone and style of the 80’s era. The song itself may not have defined the decade but it quickly became (and still remains) a quirky and timeless classic. The lyrics were inspired by a want-ad Rupert read while idly perusing the personals. As he put it, “I thought, what would happen to me if I answered this ad? I’d go and see if it was my own wife who was bored with me.” The chorus originally started with “if you like Humphrey Bogart”, which Rupert changed at the last minute, replacing the actor’s name with the name of the first exotic cocktail he could think of. Today, because of its silly melody and descriptive nature, the song is an incredibly popular boating song. You can almost sense the waves, the sun, and a Piña Colada in your hand as you follow along. We’ve played this song on a couple of our cruising events and it’s always a crowd pleaser. I thought it wasn’t half bad. Where we’ll plan our escape. And I said, “I never knew”.